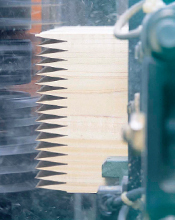 Kanefusa has a complete range of circular sawblades, router bits, cutters, knives in order to correspond to different cutting requirements and processing each customer needs in wood based industry. 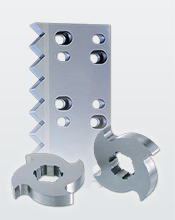 Kanefusa supplies a complete range of cutting tools for Metal, Aluminum, Stainless steel, pipe sawing and so on. Kanefusa supplies a complete range of tools used in Printing, Book binding and Paper manufacturing such as Paper Guillotine Knife and Trimmer Knife. 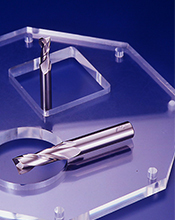 Kanefusa supplies a complete range of TCT sawblades and end mills to realize highly transparent cut surface of acrylic and other resin materials. 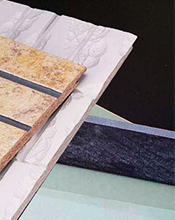 Kanefusa supplies a complete range of PCD tools for various materials such as ceramic and cement siding boards. 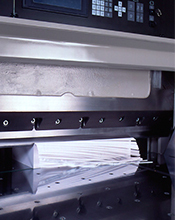 Kanefusa produces tools for recycling industry such as chipper and crusher knives. 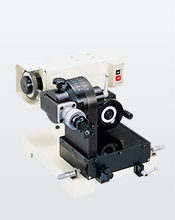 Kanefusa produces equipment for precision process such Hydraulic tool holder, centerless blade and tool grinders. 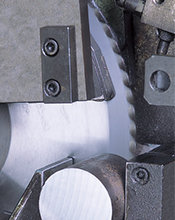 Circular Sawblade, Cold Sawblade, etc. Guillotine Knife, Press Cutter, etc. Cutter Head, Veneer Knife, etc. Router Bit, Endmill, Drill Bit, etc. Cutter and Ace Cutter, etc. Chipper Knife, Milling Knife, Milling Cutter, etc.